The Mountain Farm Museum farmstead has a crop in the field with the Smoky Mountains as a back drop. Live farm animals are raised during the summer. Visitors are welcome to visit the chestnut log farmhouse, barn, hen house, apple house, springhouse, and blacksmith shop. 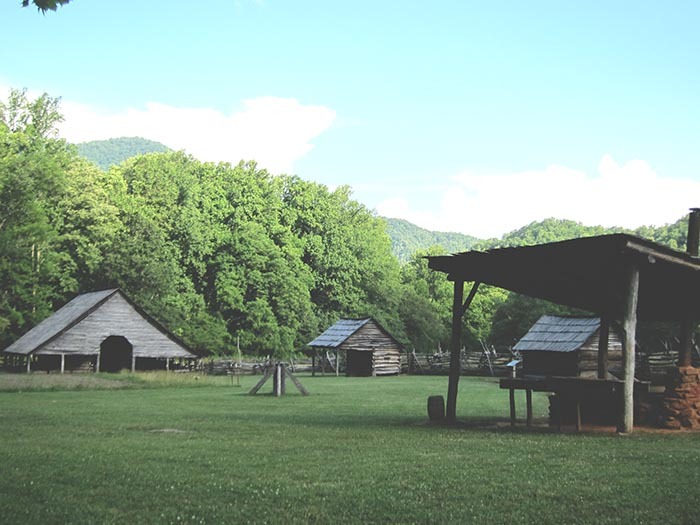 In the foreground is the shed where molasses making takes place in the Fall.